Teachers can now find a better solution to translate any text, words or websites in many languages offered in a website citcat.com. 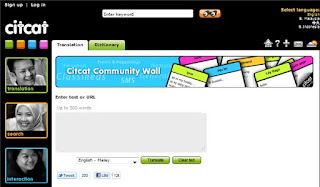 Citcat.com is more accurate in translating text and words compare to other online web or software found nowadays as the company itself originated from our native country. Citcat.com is also available for mobile , www.citcat.mobi .